every winter it seems the whole city of Melbourne vanishes in short stints for two weeks. they’re all down in Hobart revelling in the many events of the annual Dark Mofo festival. 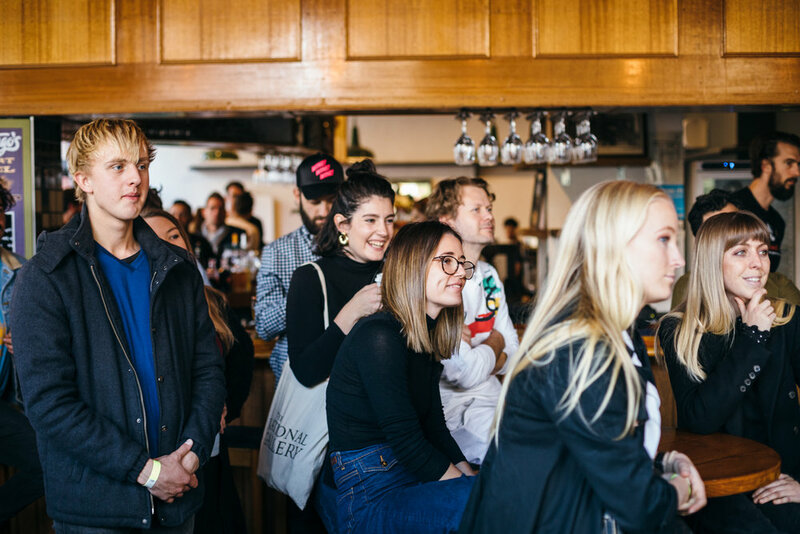 every year during this same time, Franklin Hobart hosts one of the best (and becoming one of the biggest) wine events of the year - Bottletops - an afternoon of tasting with a huge lineup of small wine producers and importers. 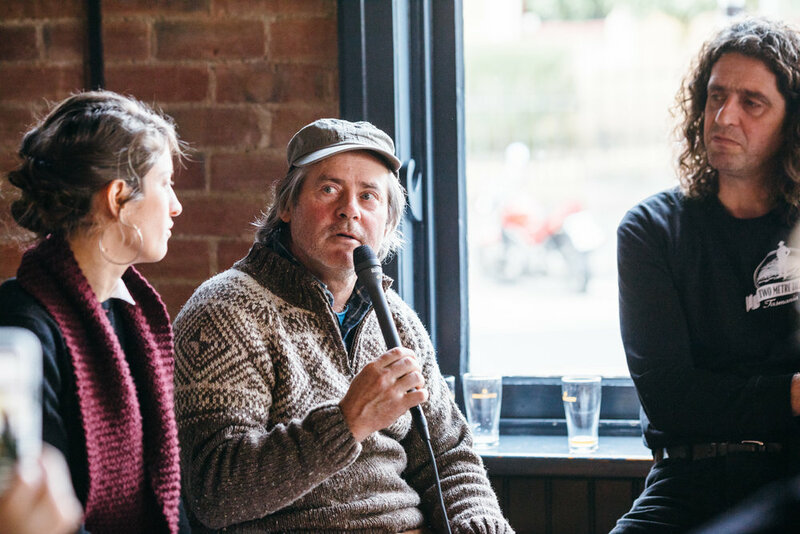 we were lucky enough to be able to host a chat the morning of this great event, and talk all things Tassie wine with four of the Bottletops participants. it was sunday, it was early, and there was a lot of wine the night before and about to be more that afternoon. 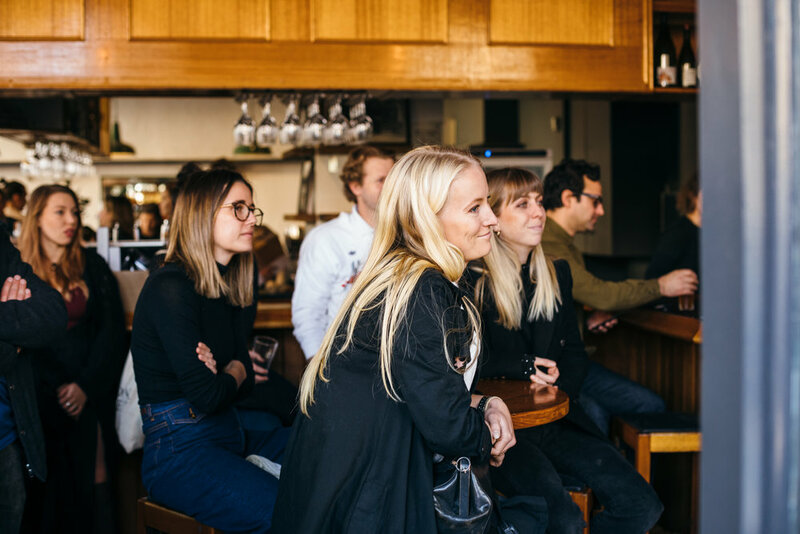 but a small crowd of eager punters gathered at Tom McHugos to switch on their brains before the soiree kicked off and have some good ol’ fashioned wine chat. Ricky Evans - born and raised in Launceston, Ricky studied winemaking in Adelaide before heading to the US. In 2010 he returned home and began working for Bay of Fires, where he ended up becoming winemaker. His own business, Two Tonne Tasmania was established in 2014, which was also a finalist in Young Gun of Wine in 2016, 2017 & 2018. Ashley Huntington - Ashley established TwoMetreTall on a farm 14 years ago, and has been making farmhouse ale and cider there ever since. With an honours degree in chemistry, post-graduate training in oenology and international experience as a winemaker he started brewing, inspired by the hop growing heritage of the Derwent Valley. 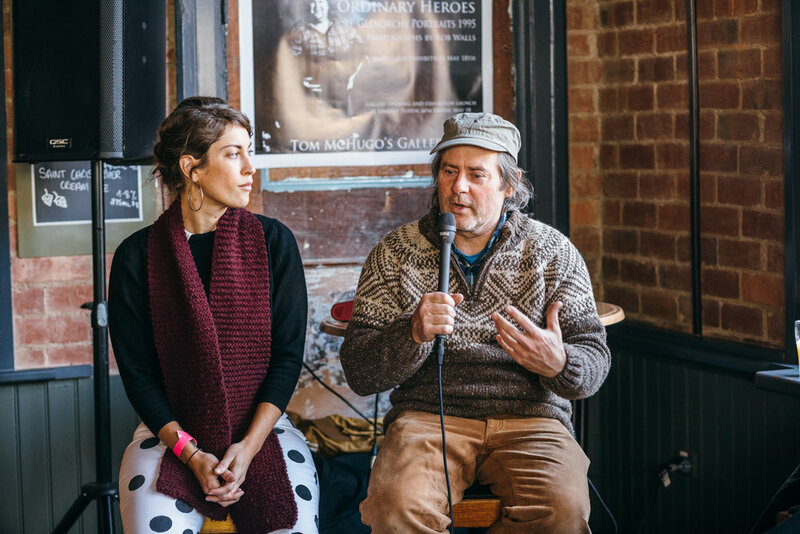 Ashley has pushed the boundaries of brewing in Australia with his farmhouse ales and ciders and discovered that the “frontline” is no place for the timid. Steve Lubiana - the Lubiana family are a fifth generation family business of winemakers and vignerons producing wines under the Stefano Lubiana label. Established in Tasmania in 1990, and before that in the Riverland south Australia where Steve’s Grandfather first established the Lubiana brand in Australia in 1954. They are a small operation of fully certified biodynamic wines with a focus on Pinot Noir. Kate Christensen - a experienced and passionate sommelier who expands her love of wine as an advocator of the organic, biodynamic, minimal intervention industry in her professional work and her own pop up restaurants. she is currently slinging wine with our hosts, Franklin Hobart. Kate did a great job of taking up moderator duties for the day.